Cost Accounting : 15e + Myaccountinglab + Etext Vpack - ubiq bookshop: the best place to buy books! 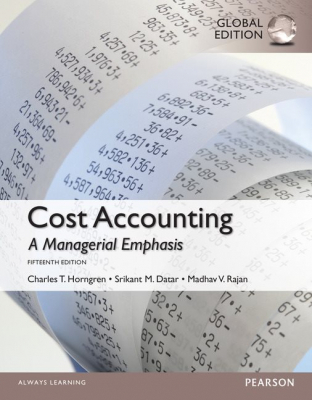 Horngren's Cost Accounting, defined the cost accounting market and continues to innovate today by consistently integrating the most current practice and theory into the text. This acclaimed, market-leading text emphasises the basic theme of different costs for different purposes, and reaches beyond cost accounting procedures to consider concepts, analyses, and management. This edition incorporates the latest research and most up-to-date thinking into all relevant chapters and more MyAccountingLab coverage! MyAccountingLab is web-based tutorial and assessment software for accounting that not only gives students more "I Get It" moments, but gives instructors the flexibility to make technology an integral part of their course, or a supplementary resource for students.